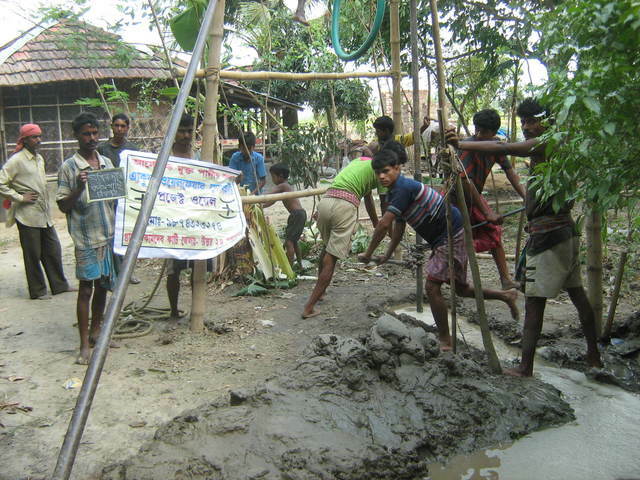 This site #PW146, is in Berbari village of Chakdah block of Nadia district. Aditya Biswas donated the site for the community. 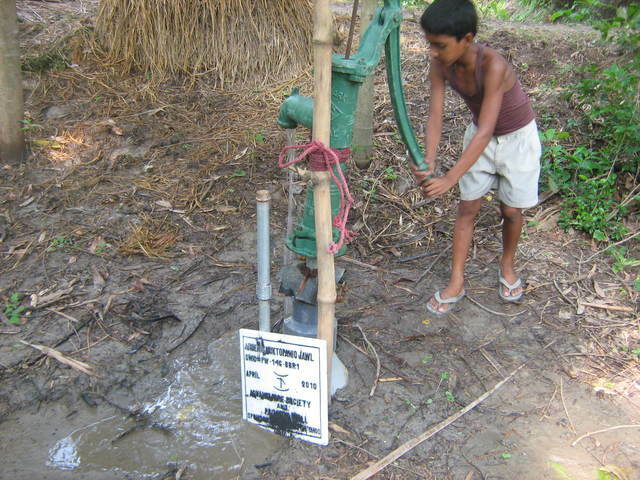 The finishing work of this borewell is still not complete. The masonry job is pending that will be done shortly. The writing on the name plate is smudged. Before adhering to the floor of the apron it will be corrected. After completion the water will be tested for arsenic concentration. Theoline will also be applied soon. The community will be trained to apply the disinfectant and field workers will visit the borewell for two years or until the user community feels confident to take the responsibility of thier own water source.